Boss429 hood scoop on a 67/68 photos? I am going to put a hood scoop on I'm thinking of puting on a 428 cobra jet one on or the boss429 but I don't know if I like it (the boss429 one) that is! so some pics would be nice to see be for I by one.... thanks for the help! RE: Boss429 hood scoop on a 67/68 photos? AndI would like to see some photos of a 67/68 with a blacked out hood to with hood scoop or not..
thanks guys keep them comeing...... I need all the help I can get! 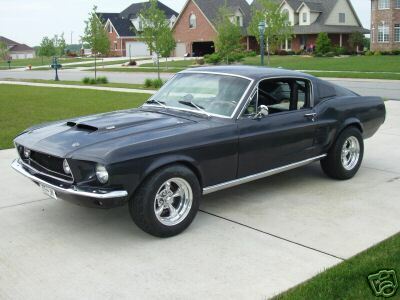 true66 that last fastback is a mean looking beast...where'd you find that??? Quick Reply: Boss429 hood scoop on a 67/68 photos?